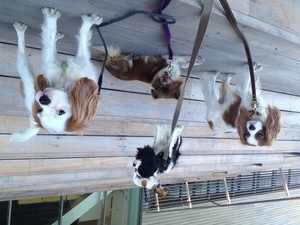 Riley, Tobo, Ollie, Grey and Bailey. We always bring smiles to people's faces. Tourists always stop to take pictures of us.